Epson, pioneer in the technology industry, is leading the way in visual communications, wearable products, drone accessories and industrial solutions. A great part of that forefront action is due to their innovative Moverio smart eyewear line. Supported by Wikitude since 2014, the devices have been used by enterprises and consumers worldwide to deliver hands-free augmented reality experiences. Today, Wikitude is excited to expand the accessibility of its AR technology even further by launching a fully optimized Wikitude SDK for Epson’s newest devices: the Moverio BT-300 and BT-350 smart glasses. 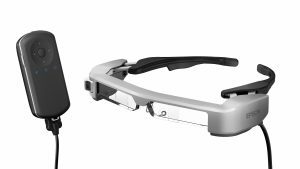 Both Moverio smart glasses include motion-tracking sensors and feature dual (binocular) displays optimal for side-by-side 3D content. These AR eyewear pieces are also reduced in weight, have a high-resolution camera, improved processing capability and an advanced Si-OLED display, superior in contrast and transparency, making digital content blend in much more realistically with the real world. Personal calibration: enabling perfect alignment between the real world and AR content. As of now, developers can download the new Wikitude SDK for Epson to create augmented reality solutions including object recognition, instant tracking (markerless SLAM), image recognition and tracking, location-based AR and more features. Smart glasses are starting to change the way people interact with the world by fusing digital elements into our everyday lives. Epson’s BT-350 paired with Wikitude’s augmented reality SDK enable the design of innovative visitor experiences at museums, art galleries, exhibitions and even retail stores by going beyond what phones, tablets and audio guides have to offer. Augmented reality is already helping thousands of users experience brands and tours in a more fun, educational and engaging way by offering smart glasses on their premises. Check out a few example at Epson’s case studies page for inspiration. On the consumer side, Wikitude paired with Epson’s BT-300 ensures immersive AR experiences for entertainment and gaming using marker-based or markerless tracking. Make the world your virtual playground! 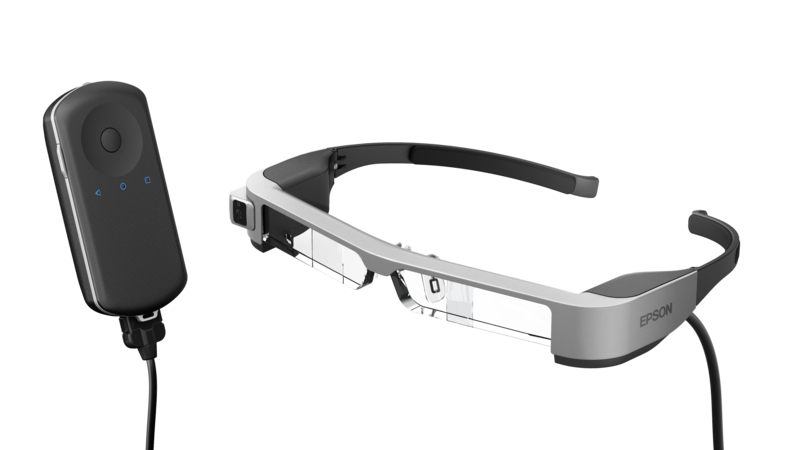 The increasing smart glasses adoption in the enterprise sector proves the crucial role this technology is playing to take preventive, corrective and predictive MRO processes to the next level. Wikitude’s powerful SDK features combined with Epson’s BT-350 smart glasses make the ideal combination for developing AR that is suitable for remote assistance, maintenance, and training. Enjoy a seamless integration of digital content with the world by trying the fully optimized Wikitude SDK for the Moverio BT-300 and the Moverio BT-350.